For the seasoned hiker, a high-quality camera and the best camera backpack is an essential part of any good hike. Your trip into the great outdoors isn’t complete until you’re able to photograph it in vibrant detail -- every moss-covered stump and every picturesque lookout. To make sure you can get the images you want, you pack your tripod and other camera equipment and take it with you. This equipment could become difficult to manage; but luckily, you know of a tool that could help. Camera backpacks are ideal for bringing your DSL camera wherever you go. Your camera needs to be protected from the elements and well-cushioned from impact. You also need to avoid attracting the attention of thieves. You also need the best camera backpack suitable for your activity level. If you’re planning on taking your camera on a longer hike, you’ll need a backpack with plenty of padding and weatherproofing. On the other hand, if you’re only walking a short distance, you won’t need a camera backpack so sophisticated. The market for these backpacks has grown over the years as DSL cameras have become more common and more portable. If you’re shopping for the best camera backpack for your needs, how do you narrow down the growing list of options? Don’t worry, we’re here for you. We’ve done most of the hard work for you in compiling this list of the best camera backpack models for hiking and travel. We know you’ll find your next travel companion on this list. Like you, we value honesty in our product reviews. We strive to provide you with the most accurate information we have available. Our goal is to do more than just save you time but also present you with the right options for your needs, whatever they may be. We poured over customer reviews and professional blog posts. 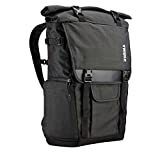 Additionally, we read expert opinions on camera backpacks, all to find the best camera backpack models from a range of products that could suit the needs of consumers with different product requirements. Brand reputations are often important to consumers like you, so we investigated the brands to see if the brands we recommended were well-known for their product quality and customer service. 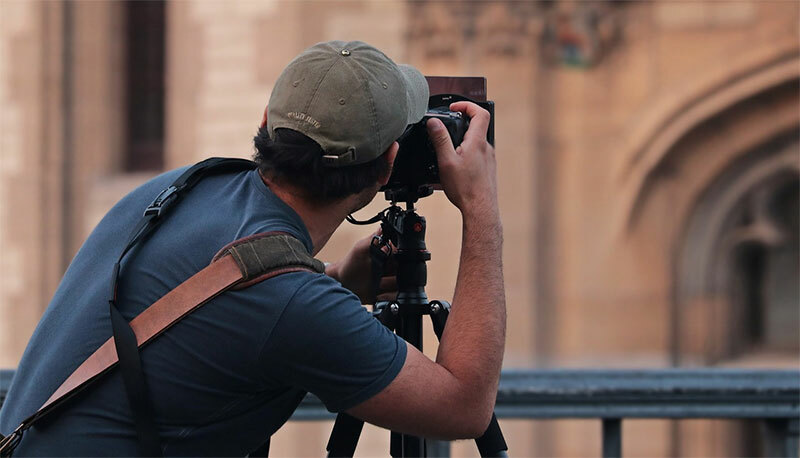 Each product below is rated and reviewed, allowing you to see the positive and negative aspects of these camera backpacks before you make a purchasing decision. 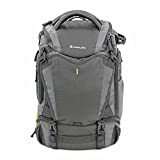 You can be confident the list below will provide you with a comprehensive selection of the best camera backpack models to choose from. The following products are our choices for the best camera backpack models. We’ve selected different types of backpacks to accommodate hikers and travelers of many levels. You’re sure to find something that will work for you traveling and photography needs. The Lowepro Photo Sport 200 AW II camera backpack is one of the most popular on the market. It’s made for hikers, complete with a rain cover, room for water, straps for a tripod, and a section for non-camera hiking gear. This is one of the best camera backpack models because it has room for a hydration system. The Lowerpro Photo Sport has a hip belt for comfortable weight distribution. It’s designed to hold the camera while the lens is attached, and you can easily access the camera via a side access compartment. You can remove the camera for use without having to set down the backpack. Customers thought the bag was constructed and designed well for smaller cameras. Some customers were disappointed with the capacity of this backpack and said that it would not fit a standard DSLR camera. Other customers thought the pack had too many non-removable straps. The Vanguard Alta Sky 45D Backpack has lots of compartments to hold all the lenses and accessories you need. It even has a pouch that can be used to carry a tripod or drone. This backpack has comfortable padded straps and multiple access points on all sides, so you can easily reach your camera when you need it. 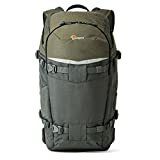 The pack also has a rain cover and enough room for some camping gear as well as camera equipment, which makes it a contender for the best camera backpack for long-haul hiking trips. Customers thought the Vanguard Alta Sky camera backpack was well-made and held lots of equipment. However, some found it uncomfortable to carry after a while. Experts thought the bag was heavy on its own, at 4.8 pounds and at the top of the budget at nearly $200. 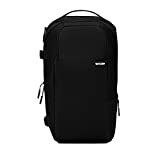 The InCase DSLR Pro Pack Black 2 camera backpack is ideal for the traveler who always wants quick and easy access to their camera. You will need to set the bag on the ground to unzip the main compartment, where you can store a camera with a lens attached, as well as four other lenses. If you want to get only the camera, there’s a zip closure for that section of the bag. You’ll also be able to carry a tablet or laptop in the front pocket. This feature makes it one of the best camera backpack models for general travel use. Experts thought the tripod attachments on the sides of the backpack were too complicated and would take a long time to fasten if you were in a hurry. Customers thought the bag was large and well padded, and capable of carrying lots of equipment. But a few thought the materials and the quality of construction were sub-par. The Lowepro Flipside Trek BP 350 AW is another great camera backpack from Lowepro. 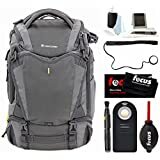 This hiking hybrid allows you to carry your camera and a selection of related gear as well as hiking necessities. It provides easy access to your camera equipment via a convenient zip panel in the back. If you have extra items that you don’t want inside the backpack, you can clip them to the various attachment points on the surface. The pack has a built-in rain cover and padded shoulder straps for comfort. It also has a padded hip belt with storage. This backpack is extremely lightweight. The only complaint from professional reviewers was about the price. At $130, it’s not the top of the price range, but this backpack is on the higher end. Customers thought this bag was well-designed and large enough to carry what they needed on their hikes. Some said it took them some time to learn how much would fit inside this bag, and they thought it was too small. Keep in mind, this bag is the mid-size model, and Lowepro makes a larger one, if you think you might need more space. The Mountainsmith Borealis Camera Backpack is a great hiking pack. It has a compartment on top for hiking gear, a sleeve for laptop storage, and another compartment for camera equipment. This compartment is easily accessible. You can store up to two cameras and two tripods, although the tripods will eat into your space for camping gear, should you choose to do this. This bag is populated with abundant storage pockets inside each of its compartments. This one might be the best camera backpack for photographers that carry a lot of equipment. Customers loved this bag’s utility as a carry-all. They liked being able to fit their camera equipment and hiking gear in the same bag and not needing to bring another bag. The only downside to this bag was the size, as some customers felt the bag was too large for their stature. The Thule Covert DSLR Rolltop is unique because it doesn’t look like a camera backpack. If you want your gear to go unnoticed, this might be the best camera backpack for you. It has a removable section for the camera equipment, and if you take it out, the bag can be used as a regular backpack. If you use it to carry your camera equipment, it can carry a camera with lens attached, two extra lenses, a tripod, and a laptop. 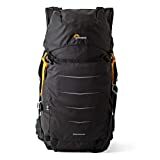 Experts thought this pack was great, but not big enough if you want to carry much more than just your camera equipment. Customers largely disagreed, and most thought it suited their needs extremely well. Some said the bag was well-designed and comfortable to carry. The main complaint from customers was about how heavy and stiff the backpack was. Large zippered external side opening allows quick access by swinging the bag to one side. The tunnel-sleeve feature doubles as a 2L bladder compartment if desired. Bladder not included. The Clik Elite Pro Express 2.0 Bag is a lightweight, streamlined camera backpack designed to carry your camera equipment in its convenient and practical compartments. It has a special feature to allow you to clip your camera to the hip belt, so you can take photos easily as you hike. The shoulder and hip straps are padded and breathable, and the compartments are well-padded as well to protect your gear. Professional reviews noted that the downside to this pack was its limited space for non-camera gear, as well as the steep price. Customer reviews largely agreed with this assessment but said it worked extremely well for day hiking. Once you’re familiar with the best camera backpack models on the market, you need to figure out which one is right for you. Consider what activities you’ll be doing. Will you be taking long hikes and going camping, or does your enthusiasm for the outdoors only last a couple of hours? Think about your photography style. Are you taking simple travel photos or something more artistic? Do you regularly use multiple lenses or a tripod? The amount of camera equipment you need to take with you will determine in part what kind of camera backpack you’ll need. Capacity: How much do you need to carry? If you need multiple lenses, your camera backpack should have room to store them in safe, padded sections. If you’re going to be exposed to the elements, your backpack should also have storage for rain or snow gear and sunscreen. Padding: How far will you carry your equipment? If you plan on taking your camera equipment with you on long hikes as well as your regular hiking pack, you want to make sure the shoulder straps are padded adequately. If you’re carrying a lot of equipment, you’ll need secondary support straps and back padding as well. Weight: Each bag can support a certain amount of equipment, based on weight. Put too much in your bag, and you can cause unnecessary stress to it and to your back and shoulders. Beyond weight limits, you need a bag with good weight distribution, especially if you’re planning on hiking with your camera equipment. Weatherproofing: For camera backpacks, weatherproofing mainly involves protecting your precious camera and associated gear from water. You should look for waterproof materials and sealed seams and zippers. Some backpacks even come with a rain cover. Access: When you’re on the hiking trail, and you have a photo-worthy moment, you don’t want to miss it because it took too long to get your camera ready. A key feature of a good camera backpack is easy accessibility. Price: Prices for camera backpacks can vary widely, but paying more doesn’t always mean you’ll get a better-quality product. Pay attention to the construction of the backpack as well as the materials. You don’t want to pay more than you should for a brand name over a well-made product that might cost less. Appearance: If you’ll be traveling through airports and tourist areas, you don’t want your camera backpack to advertise the expensive DSL camera and possibly several extra lenses you have inside. Look for inconspicuous camera bags. On the other hand, if you need a tripod, you may not be able to avoid carrying an expensive-looking bag. 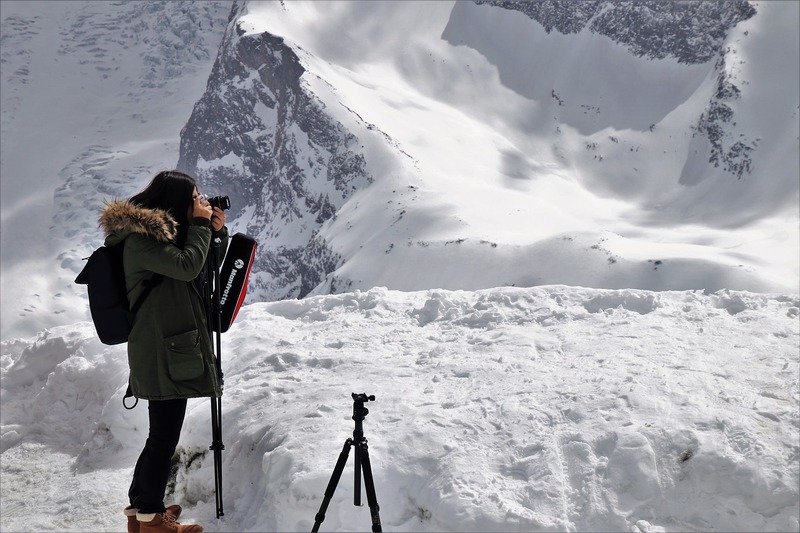 If photography is an important part of your active life, you need to find the best camera backpack for your hiking and travel needs. The right backpack will make it easier to capture the images and moments most important to you. Whether you are a professional photographer or a weekend enthusiast, you can find something to suit your camera equipment and your lifestyle.